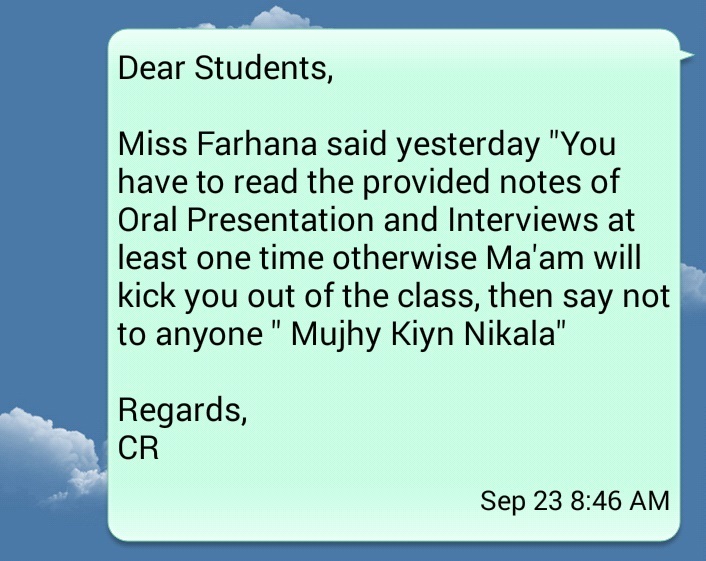 9th Class 9th Class Notes for All Board of Pakistan. If you know nothing about CR, then CR stands for Class Representative that is common in universities who acts like a monitor in class. The class monitor generally exists in school and colleges, but CR in universities. 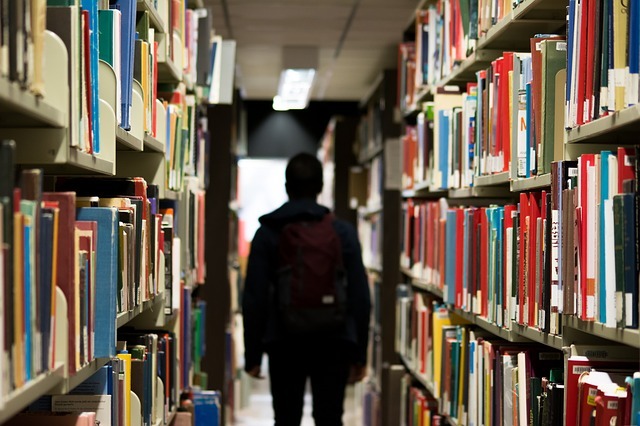 Students think being a CR is the most difficult and boring work, but for me, it's complete fun because I love doing challenging things in my life. Some other reasons, you will read in this article. I have been a CR of my class for a long time, and I have learned so many things that I want to share with you. Do you know? my class fellows and teachers are satisfied with my performance. Here are the excellent qualities of a CR or a GR. EI stands for Emotional Intelligence. In the third world countries, IQ is considered everything, but it's not right all the time. A person with good EI can be more successful than the person who has high IQ. EI is the ability to recognize, understand and manage our own emotions. Self Aware: He knows his weakness and strength. Spend a little time, and check yourself in which things you're good at. It's the most commonly asked question when you go for a job interview. Motivated: He is motivated towards his goals. He wants to see every student in his class successful. He lives for others. He doesn't run after money or title. Empathy: He understands the emotions of others. He respects other students' feelings. 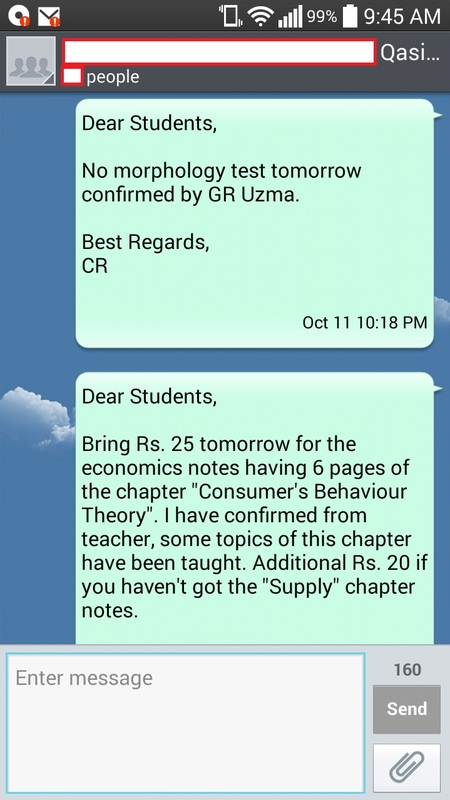 New Notes Are Given: Whenever teacher gives him notes, he sends an SMS to all the class fellows that I have got the notes. He doesn't keep this thing secret anymore. With Price: You have to calculate the price of the notes that you will print for them. For example, if it has 4 pages, it will cost Rs. 20. Mention the price of the pages in an SMS, it builds transparency and trust. Send Between 8 PM to 10 PM: Because students forget. When you say during this time, they will bring money. Times come when you face a problem, and you become frustrated. You think you'll not be a CR in the next semester. But you must know that every problem has a solution. For example, in my class, no students used to give me money because the mind is in the constant state of forgetting. Then I found a solution by myself. The solution was to send an SMS. Now, all the class fellows bring money. Do you like a boring person? No! A CR must have a good sense of humor so that class thinks the CR has the same qualities like them, not an alien from another planet. Because intelligent students are made a CR, and they lack this quality. 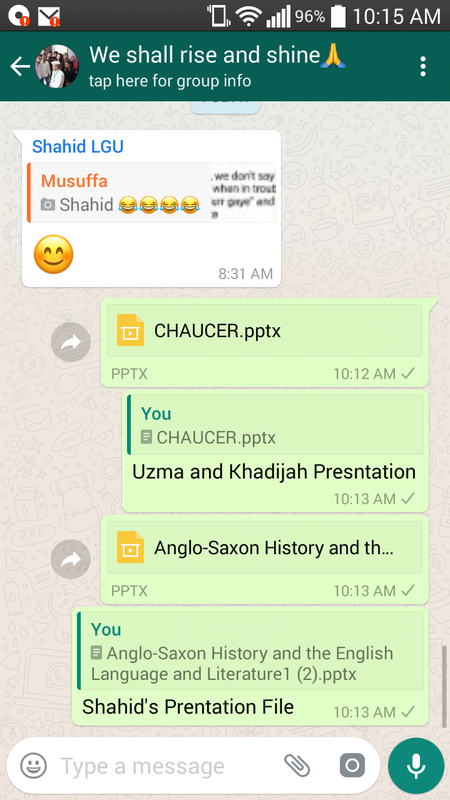 I have made a Whatsapp group where I share the important things that can help my class to get better marks in the exams. I share notes, videos from Youtube to make them understand better, and of course, funny memes too. I know you're a CR, and not everyone says you 'thank you' for doing something great for that you have spent many hours. It's okay. People don't appreciate everything you do. You have to accept the reality and keep doing great things because you will be a role model for many others. And you should work for the betterment of your class. It's a great quality that companies need for a job seeker. Because when you die for the phrase "Thank You", your productivity reduces to a greater extent, and you don't work from the core of your heart. Do you have any questions or you know any other good quality a CR must have? Let us know in the comment, we will add in our article with your credit. Do you want to be a good CR or class monitor of your class? Here are the six qualities that you need to get.